EDINBURG, Texas — Police in Texas acting on a tip found 17 undocumented immigrants locked inside a tractor-trailer parked at a gas station about 20 miles from the border with Mexico, less than a month after 10 people died in the back of a hot truck with little ventilation in San Antonio. Edinburg Assistant Police Chief Oscar Trevino told KGBT-TV that the immigrants from Mexico, Honduras and other countries may have been locked inside the 18-wheeler in Edinburg for at least eight hours before being freed by officers late Sunday morning. None of the people inside the tractor-trailer required medical attention. A man and woman who Trevino said are Cuban nationals were in charge of the rig and have been detained. The discovery comes three weeks after 10 people died in a sweltering rig parked at a Walmart in San Antonio. Immigration officials said survivors estimated 100 people had been packed into the back of the 18-wheeler at one point in its journey. Officials said 39 people were inside when rescuers arrived, and the rest either escaped or hitched rides to their next destination. Nearly 20 of those rescued from the rig were hospitalized in dire condition, many suffering from extreme dehydration and heatstroke. The driver of that rig remains in federal custody, charged with illegally transporting immigrants for financial gain, resulting in death. On Sunday, Edinburg police went to the gas station, a popular stopover for commercial truck drivers traveling through the region, after receiving an anonymous call from someone saying a relative was trapped inside the tractor-trailer with several others. Officers began knocking on the sides of trailers parked at the station and eventually received return knocks from the one holding the immigrants, police said. A spokeswoman for U.S. Immigration and Customs Enforcement said the agency is investigating the matter. The San Antonio incident demonstrated how smugglers regularly use big rigs as part of an elaborate network of foot guides, safe house operators and drivers. The immigrants discovered in San Antonio had been divided into groups and marked with color-coded tape. Six black SUVs were waiting at one transit point to take some on to their destinations. 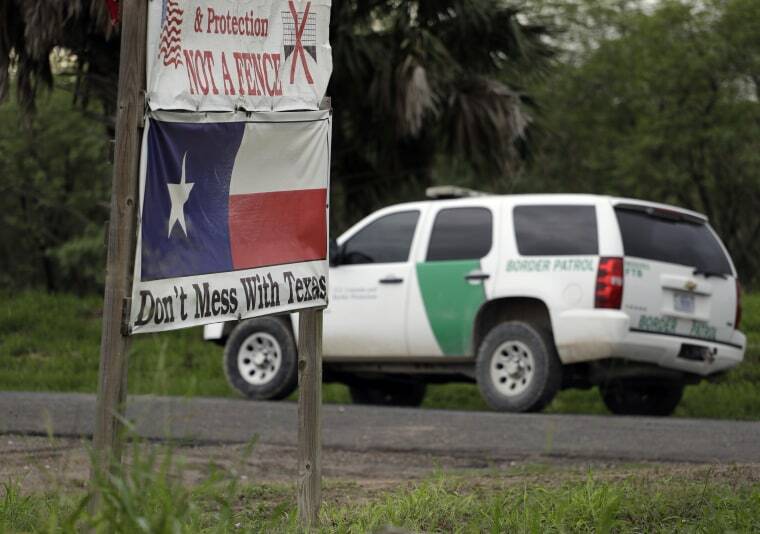 Authorities have not said if similar arrangements had been made for the immigrants found in Edinburg, about 230 miles south of San Antonio. Tractor-trailers emerged as a popular smuggling method in the early 1990s amid a surge in U.S. border enforcement in San Diego and El Paso, Texas, which were then the busiest corridors for illegal crossings. Before that, people paid small fees to mom-and-pop operators to get them across a largely unguarded border. As crossing became exponentially more difficult after the 2001 terror strikes in the U.S., migrants were led through more dangerous terrain and paid thousands of dollars more.